When I visited Macallan in Craigellachie (we stayed at the Lynwood B&B, which is literally a minute away from Macallan and run by the most lovely and inviting of people), I really wanted to pick up a bottle of the sherry oak Macallan 18. I didn’t only because we figured we could buy it in the duty free shop at Heathrow and, since we still had a week left in our European Vacation, I didn’t want to carry around a bottle all the time (for weight and fearing that I’d break it!). Unfortunately, the duty free shop at Heathrow doesn’t carry any of the standard bottles of The Macallan. Much like how The Macallan Elegancia was created for duty free and travel retail outlets, all of the Macallans at Heathrow (and I suspect elsewhere) had special names and lacked an age statement! As it turns out, they announced on July 21st, 2009 (we started our trip before the announcement!) that they were launching The 1824 Collection specifically for the Global Travel Retail market! 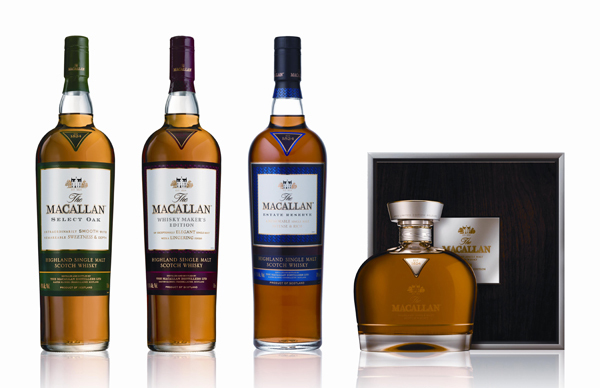 There are four expressions: The Macallan Select Oak, Whisky Maker’s Edition, the Estate Reserve, and the 1824 Limited Release. 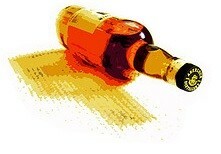 This entry was posted in General and tagged Duty Free, Macallan by Jim. Bookmark the permalink.